Get a free quotation for your Motor Takaful coverage by clicking “Get a Free Quotation”. This product is underwritten by Syarikat Takaful Malaysia Am Berhad (1246486-D). 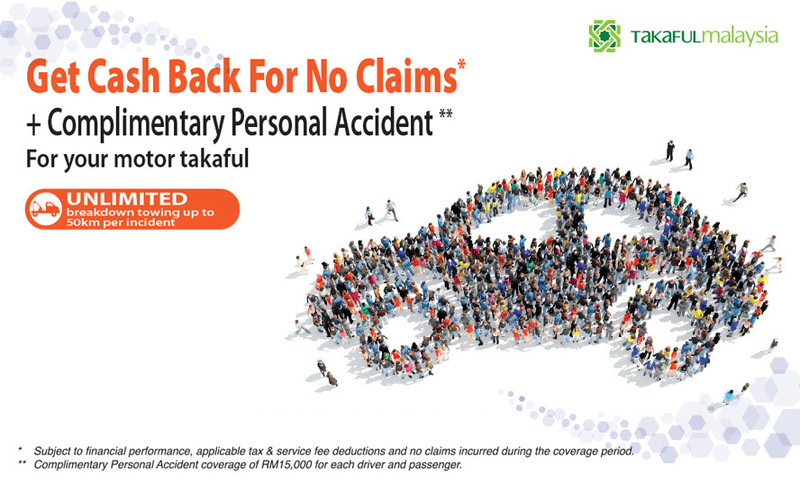 More information on the coverage, terms and conditions of this Motor Takaful product are available at Takaful Malaysia’s online sales portal; Takaful myClick Motor. The Bank is not the distributor of this product and as such any purchase of the motor takaful protection by clicking the link provided is strictly between Takaful Malaysia and yourself. The Bank excludes all liability for any incidental and consequential damages and assumes no responsibility or liability for any loss and damage suffered by you as a result of the use and misuse of any of the information or content on both this and the third party website. The Shariah Board of the Bank does not review or recommend any of Takaful operators including their products and other related agreements. The Shariah compliance status of Takaful products is the responsibility of their respective Shariah Committee.